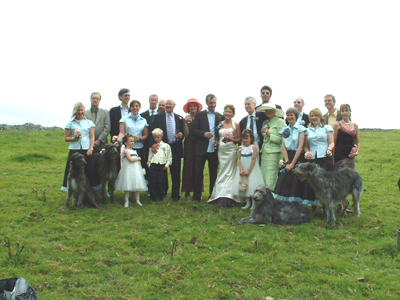 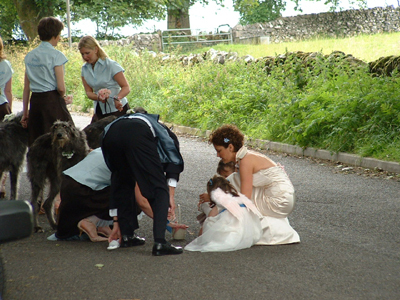 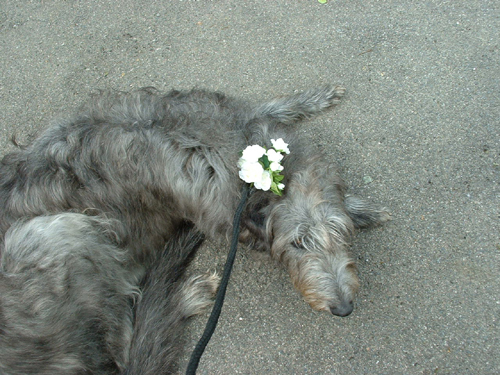 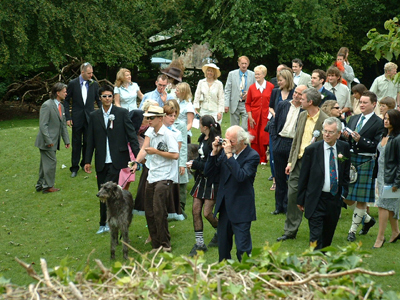 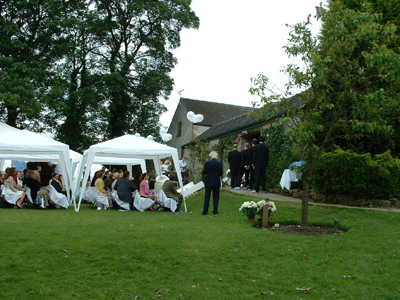 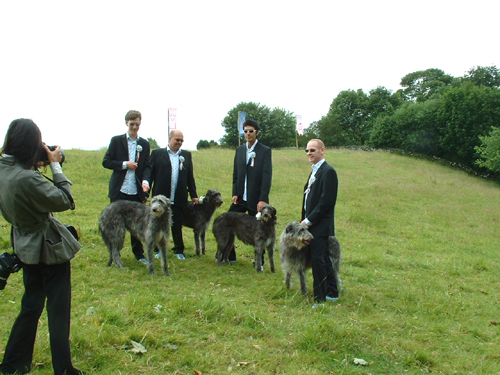 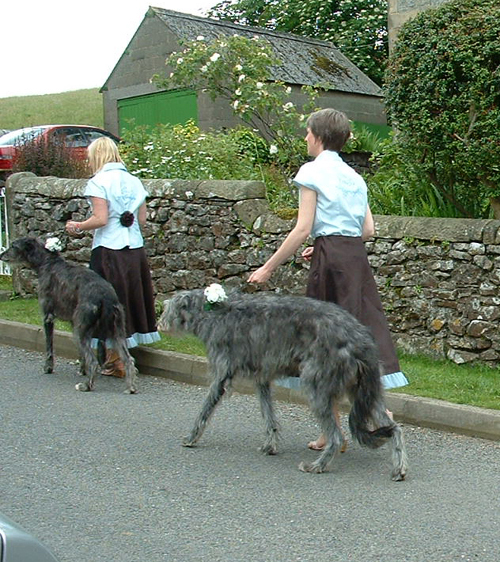 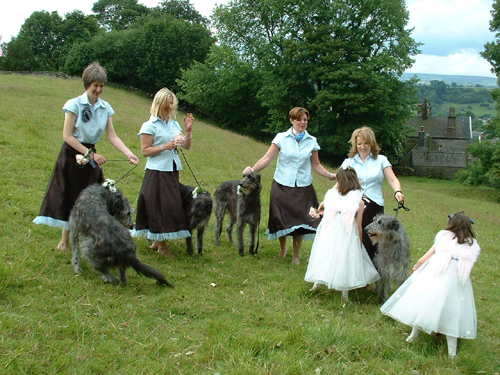 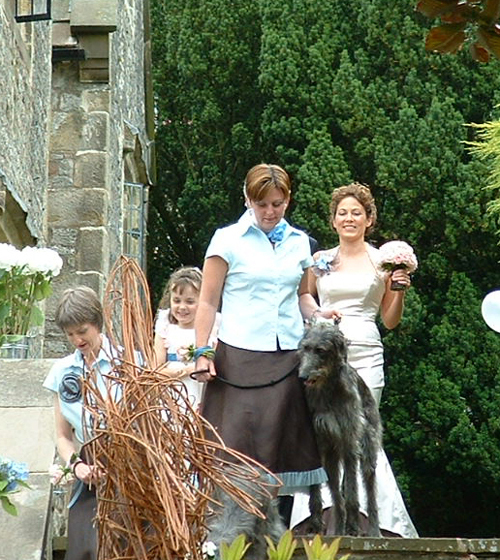 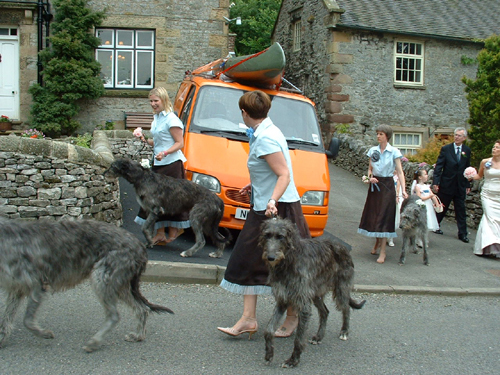 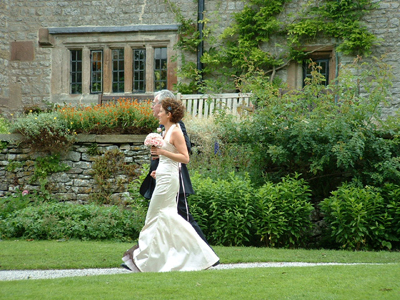 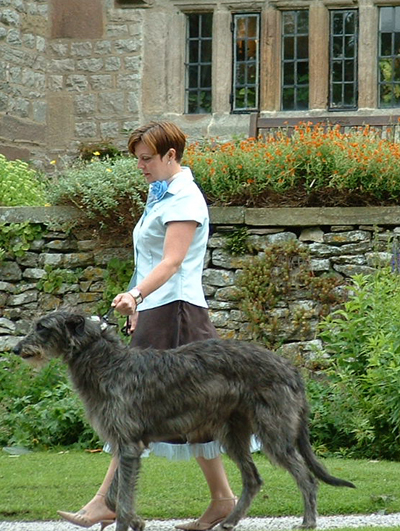 We were asked to provide 4 Deerhounds for Alex's special day and were pleased to obliged. 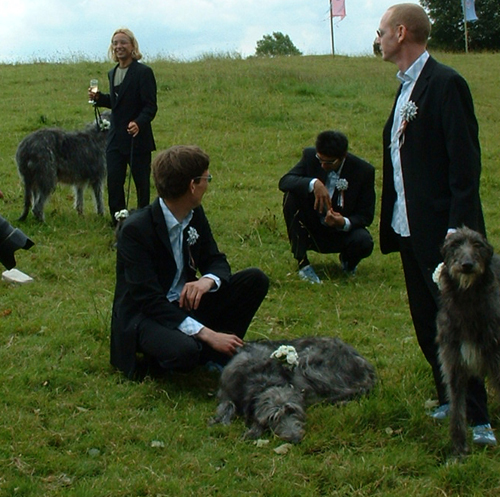 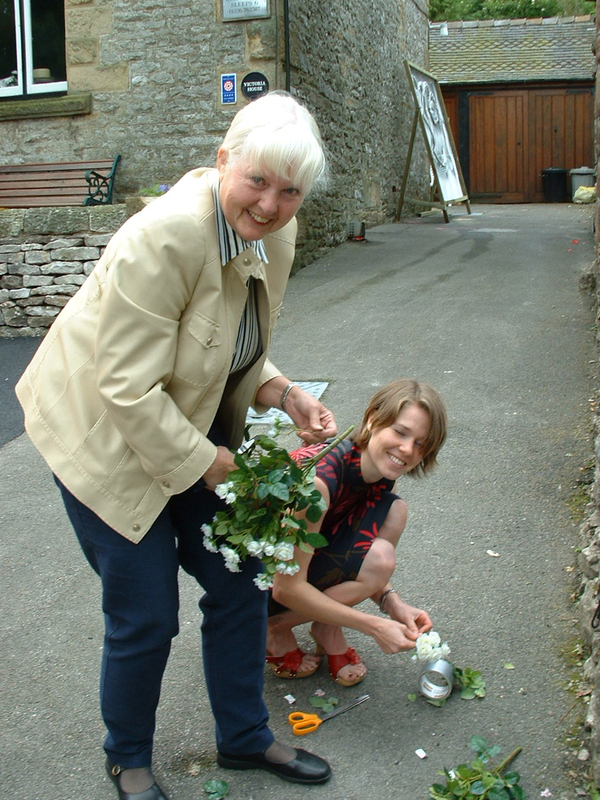 It had been a life long ambition of hers to have these hounds at her wedding. 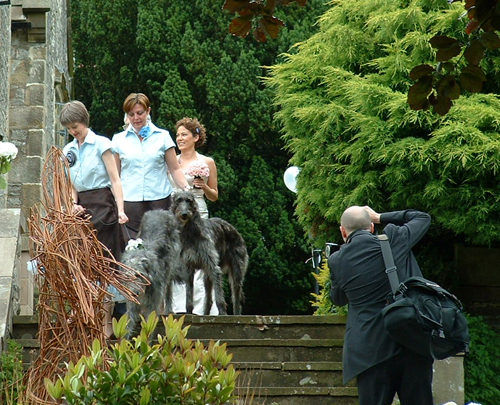 - The Bride Magazine did a 6 page special coverage.